In today's world, assuring safety, security, and reliability to students from the moment they step in and out of school or college vehicles is really necessary. By affixing school and college buses with GPS Tracking System, both the parents and the administration can have a piece of mind knowing that their ward(s) whereabouts are tracked and monitored in real-time constantly. GPS Tracking is a method to surveillance a location of a specific item or object remotely with help of artificial satellites. The innovation can pinpoint longitude, scope, ground speed, and course heading of the objective. Cost- efficient GPS equipped devices like smartphones and tablets are widely used for tracking and navigation these days. With it, companies are now able to monitor their employees and educational institutions like schools and colleges are able to track the whereabouts of their students and staff. Why Use GPS Tracking System? The GPS Tracking system is not just made to provide the live location of a vehicle; it can be equipped with many more features. The arrangement is one of a kind extensive framework designed to deal with and provide a solution to day-by-day transportation activities. It brings the administration, the parents and the transportation personals together into one ground-breaking application framework. How Management Can Benefit from GPS Tracking System? The System empowers the fleet with live location tracking, route management, monitor vehicles’ performance, and also look into the drivers’ conduct. Additionally, it can be incorporated with the RFID attendance system to track the person entering and leaving the vehicle. 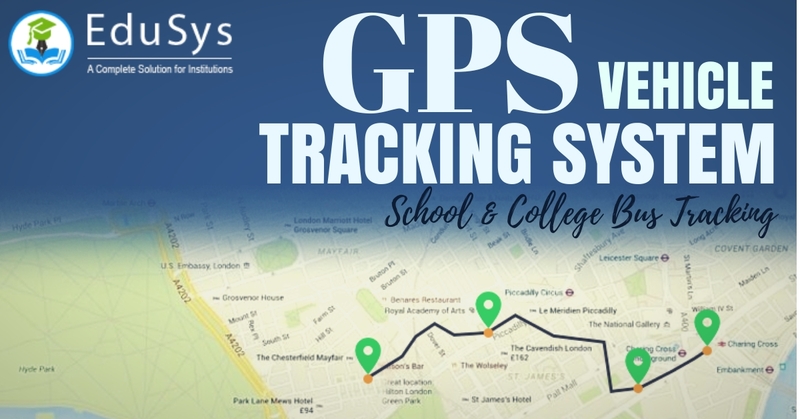 The GPS tracker device, school and college authorities can pinpoint where’s the vehicle, at what time it starts and arrives at the destination, how long the driver spends on breaks, prescribe route course to buses, and look into the vehicle when it is used for any non-work related activities. By tracking vehicles, driver effectiveness and conduct can be expanded. By knowing how much time every driver takes per work, the administration can structure a timetable more efficiently and prevent delays in bus timing. The GPS Tracking System can save money. By effectively looking after the vehicles, school and college management can save money on fuel, wear and tear on vehicles, record route and distance travelled, make resale price last longer, avoid fines and maintain proper insurance. How Parents Can Benefit from GPS Tracking App? 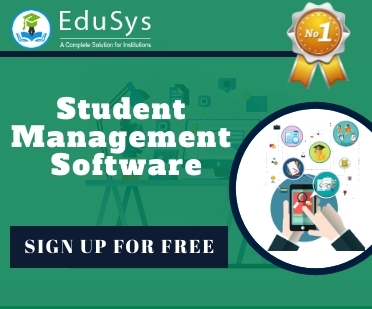 EduSys Transportation module consists of features like Vehicle management, route management, driver log, daily trip readiness etc. It is extremely helpful for the administration in assigning vehicles to the students, prescribe routes to drivers, and assigning drivers to vehicles. Document vehicles Insurance, expiry date, seating capacity, condition and performance, pollution checks, fuel usage, damages, odometer reading etc. With EduSys Mobile app parents can get information about the pick-up and drop-off points, driver details, route points, delays in arrival timings, etc.